A large rectangular planter with bugne base crafted in Vicenza Stone. 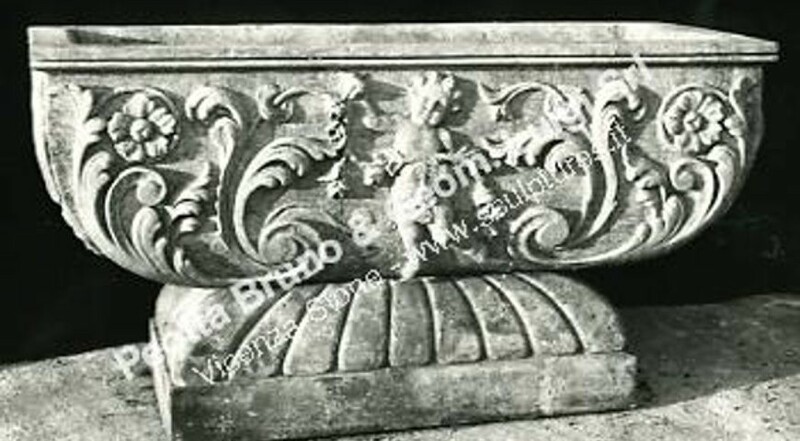 The planter decorations with a cherub in relief in front and back, flowers and leaves decorations complete the details, also with large flowers. A typical Italian style planter from 18th Century. The design of this planter was made from Bruno Peotta 70 years ago, for an English client.